The Leica Jogger 32 automatic level is the top of the range in the series. With the increased 32x magnification, it is a perfect instrument for daily levelling projects where longer distances are involved. 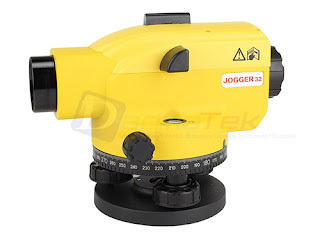 Used for many different general construction tasks, the Jogger 32 is suited for projects including landscaping, profiling, area levelling and other types of tasks in the building industry.